I have a sweet little 8-day-old baby girl to share with you today! Little Vivienne was such a little doll. And one of my favorite things about summer babies is that we get to go outdoors! I have a really amazing field right across the street that gets a lot of use. 🙂 Outdoor newborn shots are one of my favorite things that I offer. 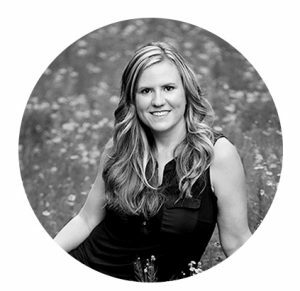 So, anytime the weather’s warm and you want to go outdoors during your newborn session, I’m game! Vivienne gave me lots of adorable sleepy expressions and I absolutely adore all of her portraits! Here’s a sampling of my favorites. If you want photos like this of your newborn baby, please contact me! 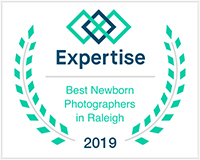 I’m taking bookings for maternity, newborn and Baby’s First Year sessions in the Raleigh Durham Cary Wake Forest, North Carolina area. Be sure to contact me early to reserve your space! I’m currently booking for September 2015 and later. So sweet, but I am a sucker for a yawn shot! That one is adorable! I love that you captured some of her sleepy smiles. 🙂 What a cute little girl. Melissa – WOW! Absolutely stunning session!!! Oh my – these are so perfect! What a gorgeous baby girl!